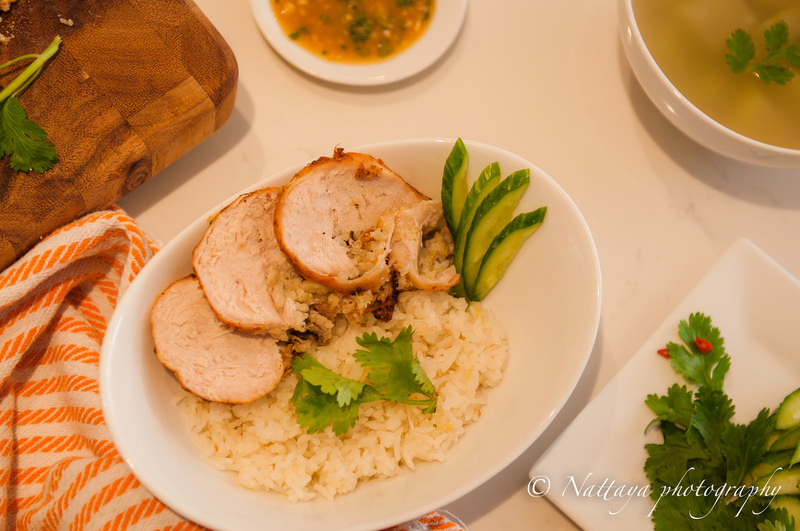 natty's pantry - " Thai Ginger & Garlic Rice, Shitake Mushroom, Almond And Quinoa Stuffed Turkey Breast "
- I use my coffee grinder to grind the spices as it is the most effective way and releases the most flavor from them. Make a rub in a small bowl. combine 2 tablespoons olive oili, 1 tablespoon ginger and 1 tablespoon garlic set aside. Coat the roasting pan well with olive oil, set aside. 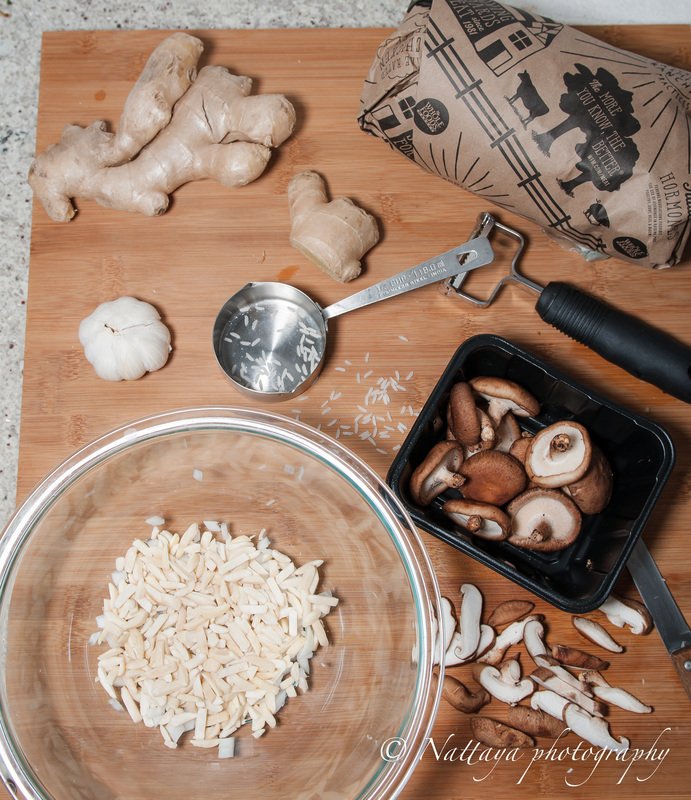 In a medium bowl combine the yellow onion, Cooked Natty Style Khoa Mun Gai, fresh ground black pepper, shiitake mushrooms, remaining ginger, remaining garlic, quinoa, almond and remaining olive oil. Taste for seasoning and adjust accordingly. lastly add the egg and mix all ingredients together. Place the turkey breast on the cutting board with the skin side down. Season with salt and pepper. Spread the stuffing over half of the meat, leaving a border around outer edge. 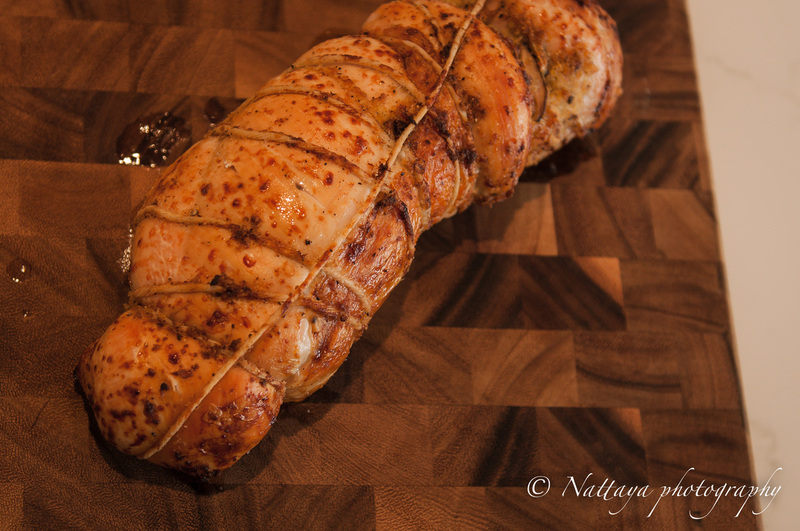 Tie the now stuffed breast with kitchen twine crosswise to secure the stuffing during the cooking process. 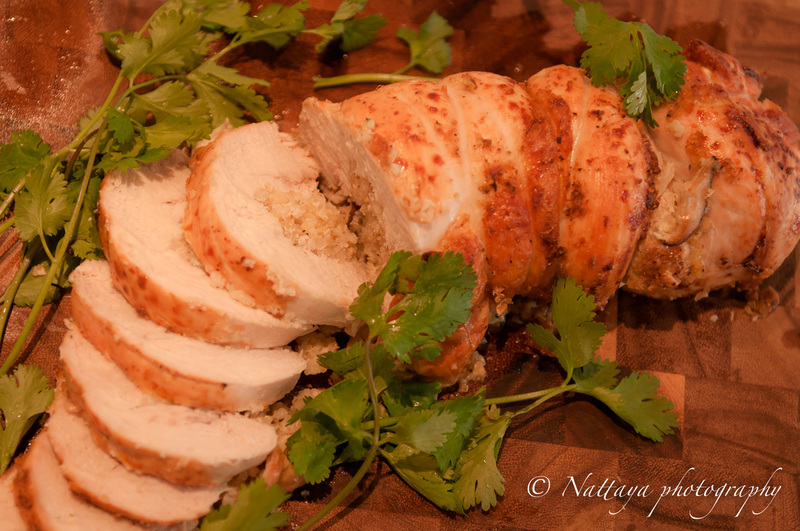 Place the turkey breast in the roasting pan and gently Rub the turkey meat with the prepared rub. cook it until the internal temperature reaches 165 degrees, in about 60-70 minutes. Or 1 pound / 12-15 minutes. 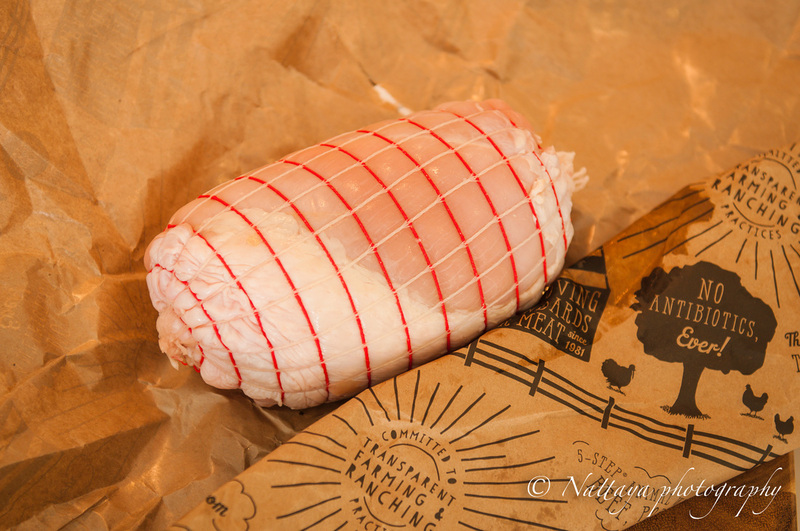 Rest the turkey for 10 minutes and cut out the kitchen twine before serving. 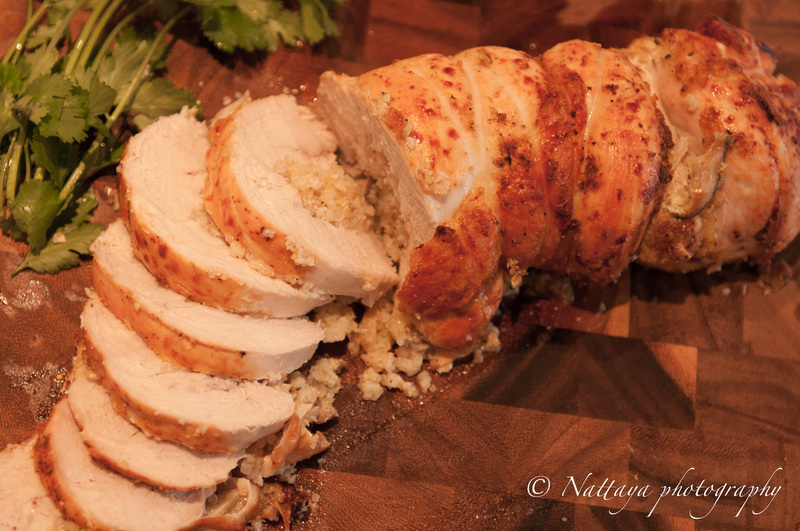 Copyright © 2015 All Rights Reserved · Natty's pantry This is great for someone who is planning to have a small group over for dinner and want to avoid roasting an entire turkey and for those who prefer white meat.